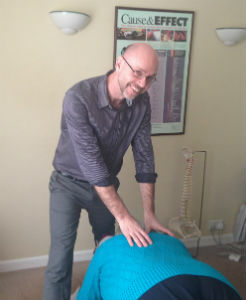 At Kesgrave Chiropractic Clinic we provide the best in chiropractic. We use highly effective adjusting techniques to return the spine to its ideal structural position, thereby reducing nervous system interference that leads to pain and dysfunction. A subluxation is created when one or more of the bones of your spine move out of position and create pressure and irritation on spinal nerves. Certain types of gentle adjustments, particularly in the neck area, may create a small noise that sounds like someone clicking their knuckles. This is quite normal and common and no cause for worry. Don’t allow unwelcome pain and misery to define your life any longer! Call 01473 624345 today to schedule an appointment.